We all use some shape or form of a makeup brush, whether you have an entire collection of brushes from cheek and blusher brushes to liner and shadow brushes, or whether you only have one or two brushes. Everyone owns at least one makeup brush, but have you ever thought about how dirty your makeup brushes can get, and how you should be cleaning them? Do you use them and just pop them back into your makeup bag? Well now is the time to consider that your makeup brushes need cleaning, especially if you’ve never cleaned them before! Did you know that your makeup brushes will start gathering up oils, makeup, dead skin cells and not to mention all kinds of gross bacteria!? We were sure shocked to find out that this bacteria can grow on your makeup brushes and can you imagine brushing that onto your clean face every single day, causing breakouts, blackhead and clogged pores? Gross!! 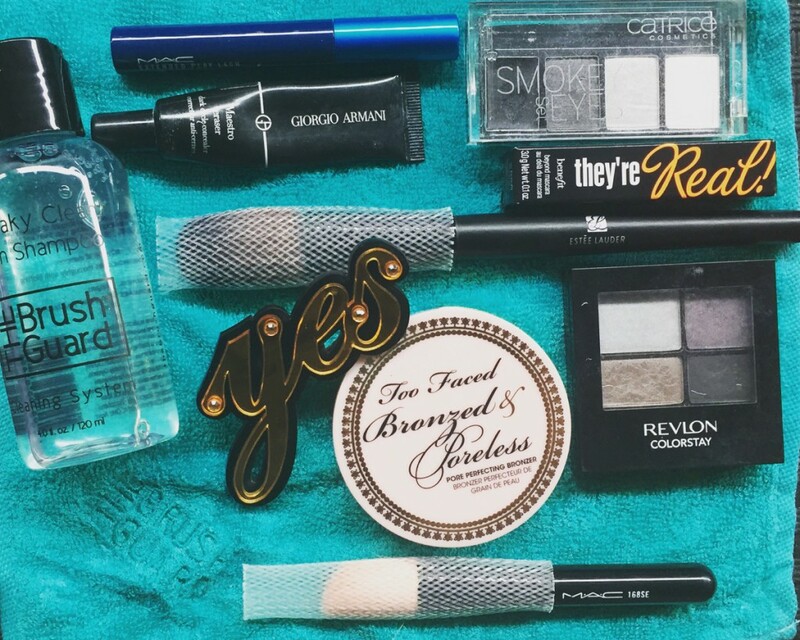 This is by far, the very best of the best when it comes to makeup brush cleaning kits! We were so impressed, I think we’ll be ordering more to give to our makeup artist friends as gifts. 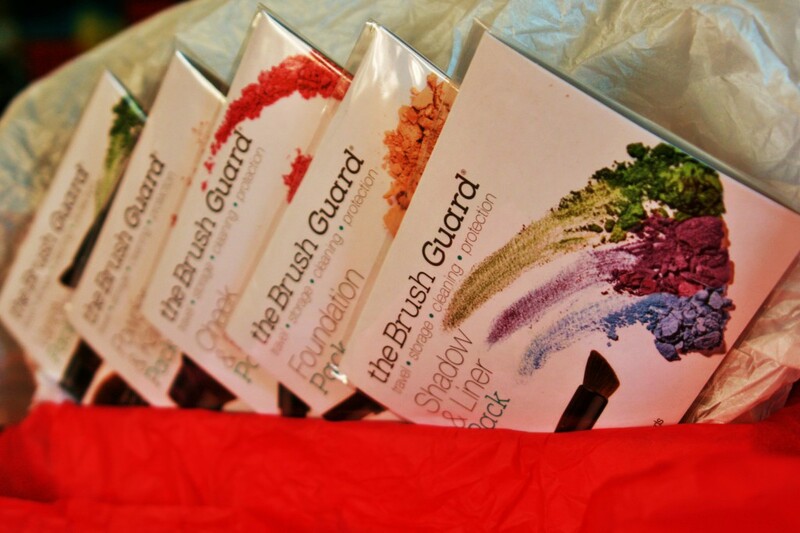 The ladies at The Brush Guard have literally thought of everything with this kit! 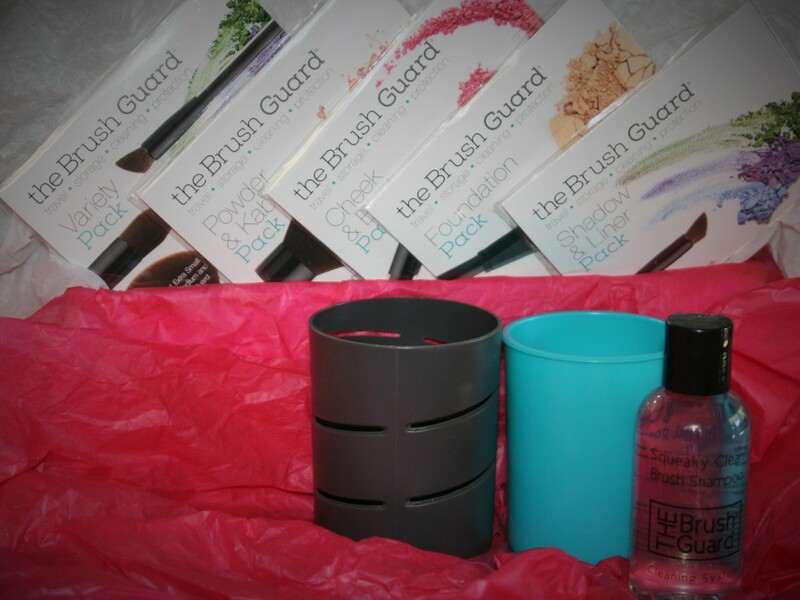 The Brush Guard Cleaning Kit comes with a 120ml bottle of Squeaky Clean Brush Shampoo; a Washing Cup, which is designed with a scrubbing bottom inner to washing your brushes in; a blotting cloth (which has been made form 100% lint-free bamboo) to pat your brushes dry on; a Drying Vase, which allows air to flow through and dry your brushes naturally, and of course a variety pack of Brush Guards which will keep your brushes clean, safe and hold their natural shape, so that you don’t lose any bristles and have a perfectly shaped and clean brush! 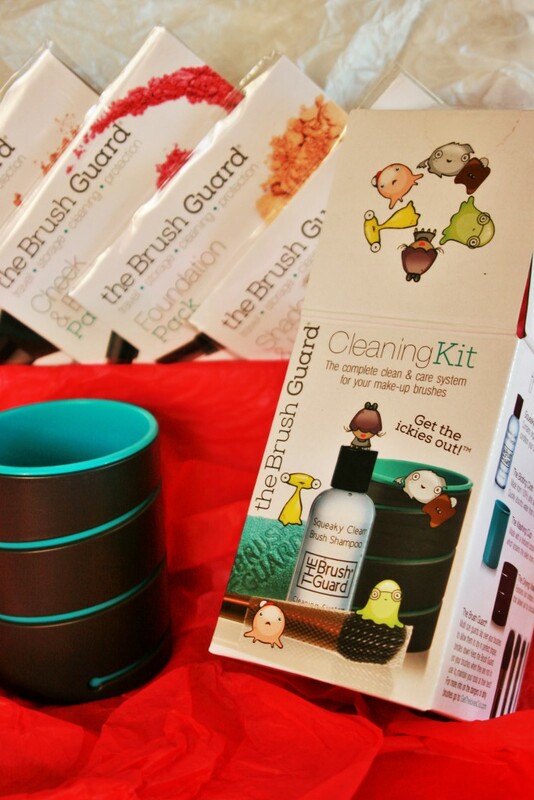 We love, love, love this Brush Cleaning Kit and think you’ll be just as excited about it. It really is a wonderful thing to own, especially if you are always using your makeup brushes. Makeup brushes cost a lot of money and this is a small price to pay, to keep your brushes in perfect tip top shape! 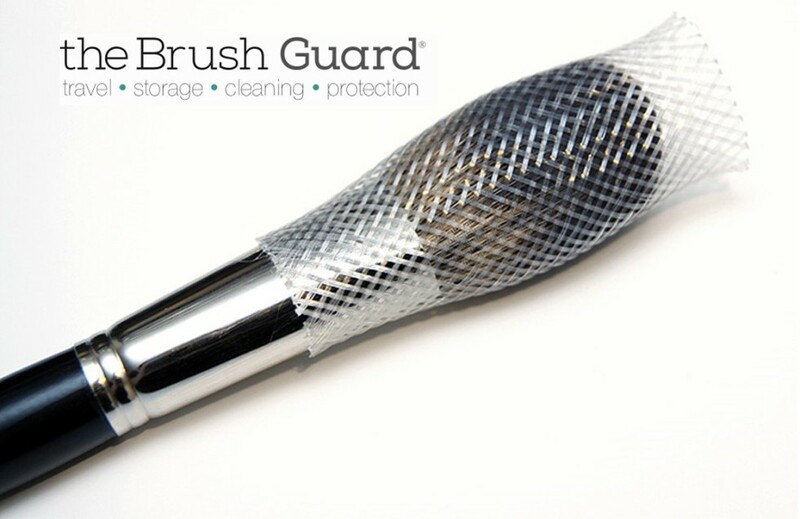 Of course once you’ve purchased your very own Brush Guard Cleaning Kit, you can then buy a variety of different Brush Guards for all the different sized brushes you own! Made from a very sturdy but flexible material, these Brush Guards simply slip onto your brushes and will keep your makeup brushes safe and protected whilest also maintaining their shape, especially while they’re in storage or after you’ve cleaned them! These are perfect for the travelling makeup artiost or makeup lover who always needs all her brushes along with her on her travels. Available in a variety of different sizes and packs, these are the Brush Guards you can get…again, we can’t stop talking about these amazing little magic makeup brush protectors, you must try them out, you’ll never look back again and your brushes will be like new, for life! This pack is perfect for the ‘every day’ makeup girl who has only a few different brushes, containing 1 extra small, 2 small, 2 medium and 1 large Brush Guard, you’ll be set with the perfect starter kit of Brush Guards. For the foundation guru’s out there who love contouring as much as we do, this pack contains 5 meduim Brush Guards which will suit your foundation brushes perfectly. The ideal pack for all your bigger powder and bronzer brushes, this pack comes with 4 large Brush Guards which will keep those vital brushes in perfect shape. Perfect for all your smaller cheek and blush makeup brushes, this pack contains 8 small Brush Guards for all your rosey cheek needs. Of course, the makeup brush that most of us use everyday are our eye shadow and eyeliner brushes, this pack comes with 10 extra small Brush Guards so you can keep them all safe and sound.